At the end of World War Two, Columbia Aircraft of Valley Stream was bought out by Commonwealth Aircraft of Kansas City. 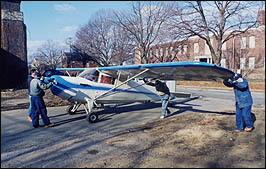 Commonwealth then began the construction of a small civil aircraft at their Valley Stream plant for just one year, 1946. 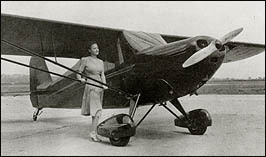 The ‘Skyranger', designed in 1940 and seating two, sold for about $3000. It featured a steel tube fuselage and wooden wing, both fabric covered. As the anticipated post-war boom in civil aviation never occurred, Commonwealth went bankrupt in 1947. In all, 275 Skyrangers were built.